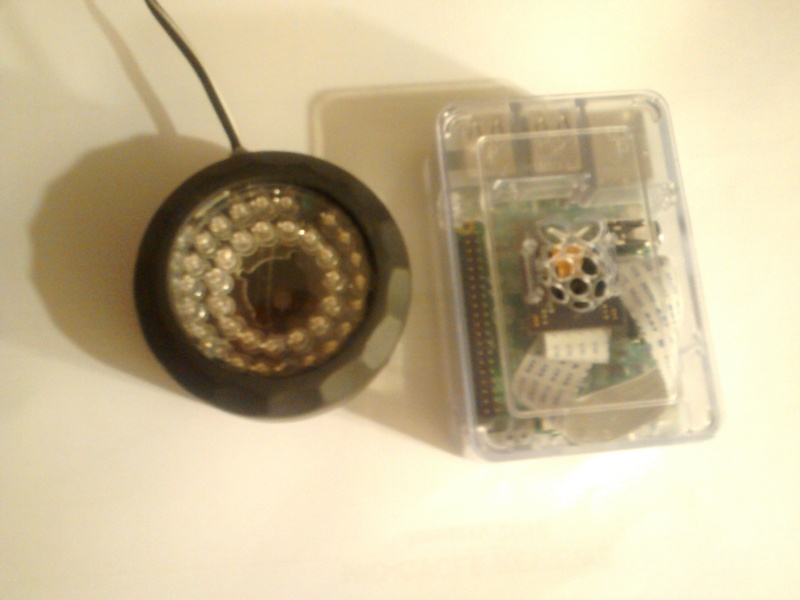 Raspberry Pi, NOIR camera and home-hacked Infra-red light source. I’ve used USB cameras with the Raspberry Pi in the past for capturing events – either in response to movement or as a timelapse. I also recently acquired a PI-NOIR camera which works really well with an infrared light source as a baby cam. I’ve installed tinyCAM on my Android phone so that I can use the camera as a baby monitor, but recently I came across “Raspicam” for Android. Looks interesting as it allows control of more functions. Should be worth a try. I bought an infrared light source from that well-known auction site and it provides a powerful beam of invisible illumination which lights the whole room, especially if it’s bounced off the ceiling. It’s powered by a 12v wall-wart. I’ve encased it in a modified camping light case so that the PCB is a bit more robust. Plenty of hot glue holds the thing together nicely. The Raspicam App is available on the Google Play store and is demonstrated on Mike Redrobe’s Youtube video. I set up Apache on the Raspberry Pi to give Motion somewhere to put the files so that I could access them and see them remotely. I haven’t got a web browser that supports Motion’s video stream so that wasn’t too helpful. However, by taking the laptop outside and pressing refresh (f5) on the browser, I was able to focus the lens on the webcam. All the settings for Motion were done through the web interface on port 8080. I had to enable this first in /etc/motion/motion.conf as I didn’t want to do it locally. Snapshots were enabled for every 10 seconds along with 5 frames of pre and post roll video. 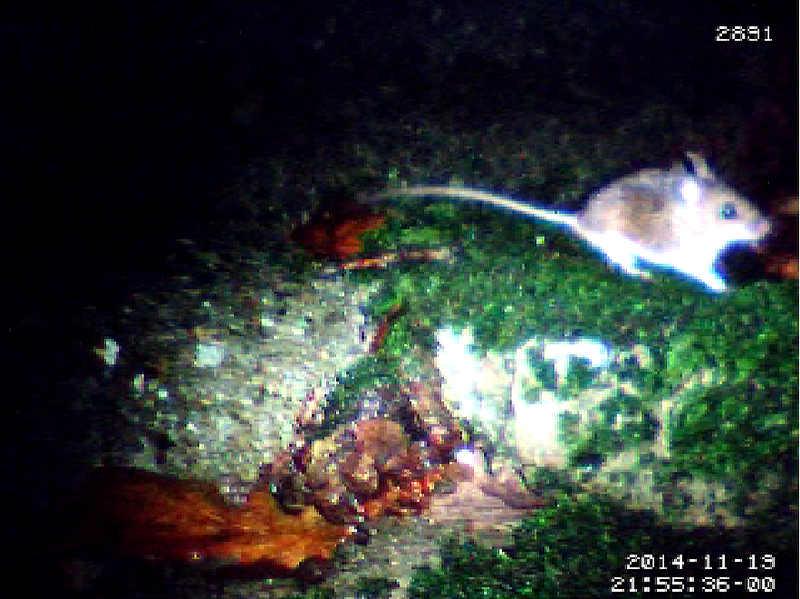 Last night at 9:50 (ish) the hole dweller was revealed. A troll, an orc? No… it’s a little mouse.